(Seychelles News Agency) - A decade after the Somali pirate threat began to paralyze the maritime trade off East Africa, harming Seychelles' tourism numbers in the process, NATO on Thursday will formally end its counter-piracy operation known as Operation Ocean Shield. Seychelles should see the end of the international military alliance’s counter-piracy operation as a sign of the international community’s growing confidence in the region’s capacity to detect maritime threats and ensure security, an official of the island nation’s Foreign Affairs Ministry says. Announcing the decision to end the operation in July, NATO highlighted a sharp drop in piracy attacks in the region, citing no successful attacks since May 2012. Pirate attacks off the vast coastline of Somalia declined from 236 in 2011 to two reportedly unsuccessful attacks in 2014, thanks to international counter-piracy cooperation efforts as well as armed guards now stationed on most large ships that traverse the region's waters. In an interview with SNA, the Director General for Protocol, Treaties and Consular Affairs at the Seychelles Foreign Affairs Ministry Ralph Agrippine said that NATO is one of the actors that has contributed to anti-piracy efforts in the Indian Ocean. “Operations are not time-bound but target-specific, meaning once the target has been attained, the mission loses its raison d' être,” Aggripine said. Agrippine said that Seychelles has greatly benefitted from capacity-building investments by the international community. He added that now that piracy attacks have abated, the island nation will focus on other maritime threats, such as drug trafficking, trafficking in persons and illegal fishing. “Maritime security is a central component of the blue economy and Seychelles and the whole region of East and Southern Africa and the Indian Ocean should make maritime security, which is combatting all forms of maritime threats, including piracy, a core component of its national and regional security," said Agrippine. 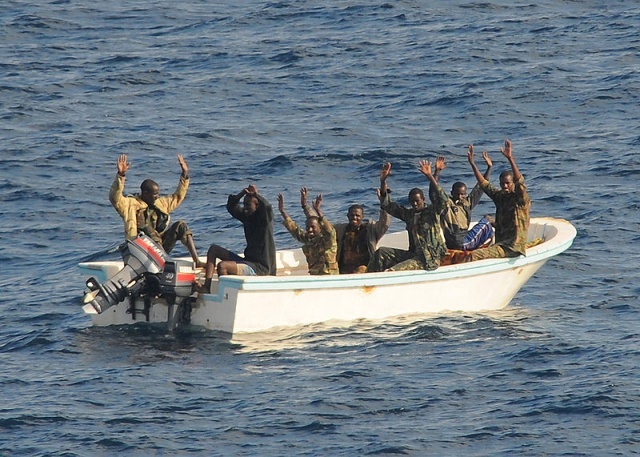 While Somalia-based piracy has been suppressed, partners involved in anti-piracy efforts know that the threat has not been completely eliminated. NATO has been supporting international efforts to combat piracy in the Indian Ocean, as well as in the Gulf of Aden and off the Horn of Africa since 2008, at the request of the United Nations. It had been working alongside other missions including the European’s Union’s Operation Atalanta, the US-led Combined Task Force 151 and other individual countries such as China, Japan and South Korea. For the Seychelles Coast Guard, the shifting of NATO’s resources will not directly affect its day-to-day operations. A spokesperson of the island nation’s defense forces, Lieutenant Colonel Jean Attala, told SNA that: “The Seychelles Coast Guard operates independently and carries out its own planned patrols using the available local SPDF [Seychelles people’s Defense Forces] assets.”. Attala said that the SPDF have a lot of interactions with different warships that call to Port Victoria, as well as from ships that are part of other international coalitions such as EUNAVFOR, ATALANTA mission and the Combined Maritime Forces (CMF) of which Seychelles is a member. He said that these collaboration will continue as these missions are also engaged in counter-piracy missions in the region. Seychelles is also the current chairman of the Contact Group on Piracy off the Coast of Somalia (CGPCS) -- another organization concerned with the threat of piracy in the region. The Head of Secretariat, Raymond St Ange, said that recent intelligence suggests that threats by pirates remain in place and that the group’s mission to maintain zero ships held and zero hostages will continue. “We note continued harassment of IMO registered vessels, attempts and attacks against fishing dhows. The Secretariat is as well aware of concerns being raised by the shipping trade,” he told SNA. During a meeting of its members held in Seychelles in June this year, the Contact Group on Piracy off the Coast of Somalia it was agreed that Seychelles would retain chairmanship of the organization for 2017 and that it will continue its work with the help of other partners. The scourge of piracy has been plaguing the Indian Ocean since 2005. Seychelles, a 115-island archipelago in the western Indian Ocean -- geographically close to the Somali coast, placed itself at the forefront of the fight against piracy that has affected the islands' tourism and fisheries industries where Seychellois fishermen have also been held captive by Somali pirates.